Contrary to popular belief bone is living tissue. Therefore, bone hurts when injured, bleeds when fractured, and changes with age. These facts are not surprising if you understand bone contains blood vessels and nerves like other organs in the body. How much is my bone injury claim worth? In assessing injury compensation for a bone fracture or multiple bone fractures from a motor vehicle collision it is important to understand that “no two fractures are created equal”. In other words, one cannot simply assume that a fractured femur in one person will obtain the same compensation as a fractured femur in another person unless one looks at the specific nature of the fracture. Broken bones have two main categories: open and closed fractures. Open fractures are sometimes referred to as compound fractures. In a compound fracture, the force of the blow in a motor vehicle collision causes a bone fragment to extend through the skin. This injury is particularly problematic as it creates the potential for infection and other complications. Not surprisingly, a simple or closed fracture refers to a break in which the bone does not penetrate through the skin. Avulsion fracture – The muscle or tendon pulls away and causes a small piece of the bone to pull out from its point of attachment. Comminuted fracture – A fracture of a bone in more than two places. Complete fracture – The bone has made a clean break into two pieces. Compression fracture – A break or fracture caused when the entire bone structure collapses. Oblique fracture – The bone breaks at an angle and extends across the length of the structure. Spiral fracture – A broken bone that has a spiral or corkscrew-like appearance. Transverse fracture – The break goes straight across the bone. As you can see from just a quick perusal of the above definitions a hairline fracture, for example, will attract far fewer damages for pain and suffering than a complete fracture or a comminuted fracture. A complete fracture or comminuted fracture is so serious that it will often lead to loss of wages and potential future loss of wages from future surgeries. The normal treatment for a fracture depends on the severity of the injury. Emergency care of course initially involves immobilization, icing and elevation. A fracture which results in an anatomical misalignment is an extremely serious injury which hopefully can be set by the orthopaedic surgeon. Whether it is set with a proper alignment is subject to the skill of the orthopaedic surgeon, which varies widely in Canada. These bone fractures must be “reduced” or returned to their correct positioning. Often in serious fractures, this will require surgical intervention. An open reduction with internal fixation is a procedure whereby an orthopaedic surgeon uses screws or metal plates to stabilize the fractured bones. As well the fracture may be stabilized through external fixations. As the name implies this involves inserting pins or screws into the bone which are affixed to a metal bar outside of the skin. This external structure holds the bones in place until they heal. 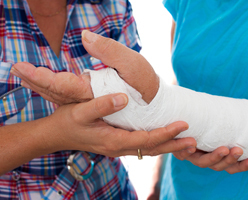 The most common treatment for a fracture in the population generally is with a cast. 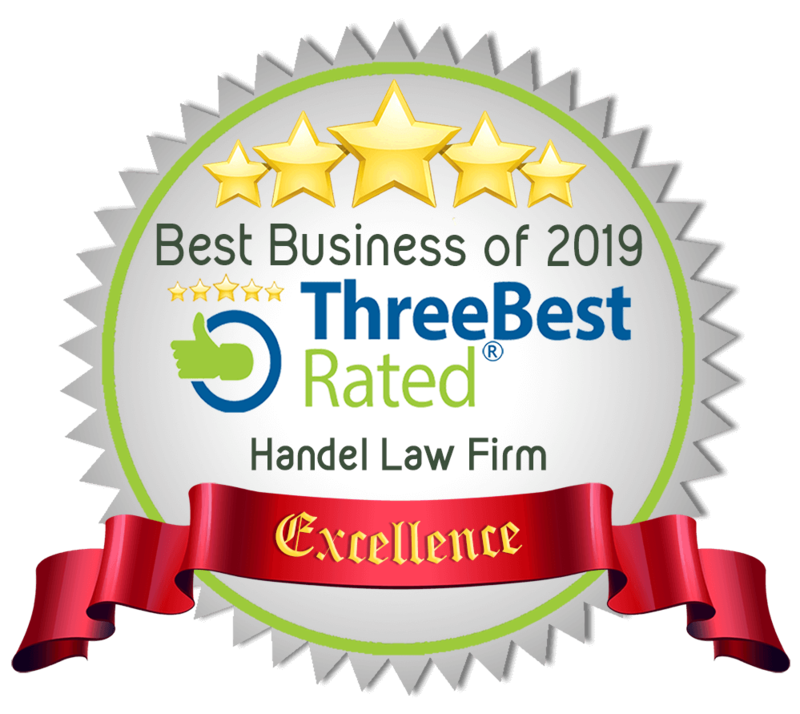 However, as our law firm deals with many serious injuries, in our experience with fractures from high-speed motor vehicle collisions the victims we act for typically have had surgery involving open reduction with internal fixation or external fixation. In dealing with children who are still growing and have suffered a fractured bone the personal injury lawyer must be aware of long term implications because the bones are still growing and have not fully matured. As many people are aware bone grows from the two ends called the growth plates and not in the middle. The growth plate is the weakest part of the skeleton and is even more fragile than the tendons and ligaments which connect the bone to the muscle or bone to bone. Therefore, if a child suffers an injury to a joint, it is more likely to harm the growth plate than the surrounding connective tissues. This can be a serious consequence for the child and the child’s personal injury claim must be delayed until it is apparent whether the bones will, in fact, grow unequally. For example, a broken leg or arm will grow to a different length than the unaffected leg or arm. One leg longer than the other has very serious long term consequences. Any fracture near the knee area of a child is the most problematic area with the highest incidence of stunted or crooked growth. The personal injury lawyer should not be in a hurry to settle the case involving a fracture with a child as long term follow up care is required to assess the child’s recuperation and growth. Therefore, the settlement should be placed on hold with limitation periods agreed to be suspended with the other side while the child grows and the litigants wait to see the final outcome. What if the auto insurance company is claiming you had osteoporosis based upon a review of your pre-existing health records and therefore your pre-existing condition contributed to your fracture? Should your damages be less? Osteoporosis is a medical condition in which the bones become brittle and fragile from loss of tissue, typically as a result of hormonal changes, or deficiency of calcium or vitamin D. Osteoporosis does indeed result in decreased bone strength which increases the risk of a fractured bone in a motor vehicle collision, most often in the elderly. We have acted for elderly victims who suffered fractures in the spine (without paralysis) in a rear-end collision in which a younger person probably only would have sustained a moderate flexion-extension injury of the connective tissues. However, this does not mean that the person with osteoporosis is partially at fault for the fracture, and this does not mean your damages should be reduced. After all, without the wrongdoer or drunk driver who ran into the elderly victim, there would not be a potential fracture. There is a long-standing legal principle that the wrongdoer/drunk driver takes his or her victim as he finds her. In the leading Supreme Court of Canada case which set this principle, the victim had an abnormally thin skull which resulted in a severe brain injury The supreme court said it is not in the mouth of the wrongdoer to say the victim should not have had such a thin skull and then they would not have been so seriously injured. You take your victim as you find him. Note this does not apply to a victim who has ongoing active symptoms from a pre-existing condition at the time of the collision. Applying this principle to osteoporosis, as most people live with osteoporosis without any symptoms, it is not something for which the courts will reduce the claim simply because the person has a fracture from a less serious motor vehicle collision. It is still a fracture caused by a bad inattentive (texting!) driver and should be compensated accordingly. In order to properly and fairly receive compensation for your bone fracture contact our firm on an early basis so that we may determine whether additional radiographs may assist your case with a more detailed view of the exact nature of your fracture. An MRI should be routine after a motor vehicle collision, but unfortunately, in Alberta, this is not the case. A private pay MRI is available within one week in Alberta and we will make the auto insurance company pay for the MRI as part of the settlement as it greatly assists understanding the nature of the fracture and thus the fair value of the case. CT scans are also frequently used to identify fractures and dislocations that might not be readily visualized on a standard x-ray. To many people, a fracture seems like a fairly straightforward injury which should have a simple medical-legal result. This is not the case as can be seen from this discussion as fractures come in many different sizes, shapes, and forms which will significantly alter the claim for general damages for pain and suffering, as well as future treatment costs, and any loss of wages, past and future, and any loss of housekeeping capacity.